CommuniTree is a "distributed site" system - it's a way for numerous independent but affiliated organizations to share web content and resources without having to "reinvent the wheel" every time. 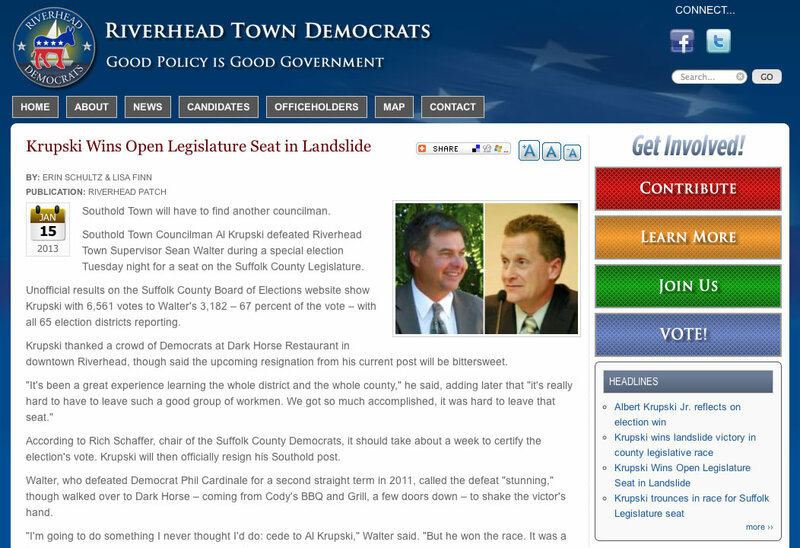 The brainchild of Matt Jennings, Executive Director of the Suffolk County Democratic Committee and implemented by InterCreative Media, CommuniTree is a powerful tool for taking the pain out of building a strong web presence for organizations with many branches; in the case illustrated here, a county political committee with town committees, legislators and candidates. 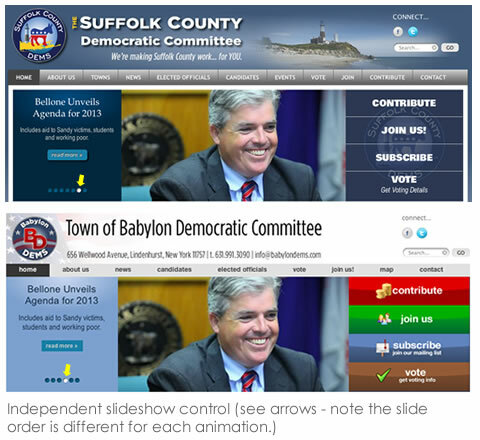 Each committee, club, officeholder or candidate can have their own individual site that works completely independently while being able to easily share content with others on the network. 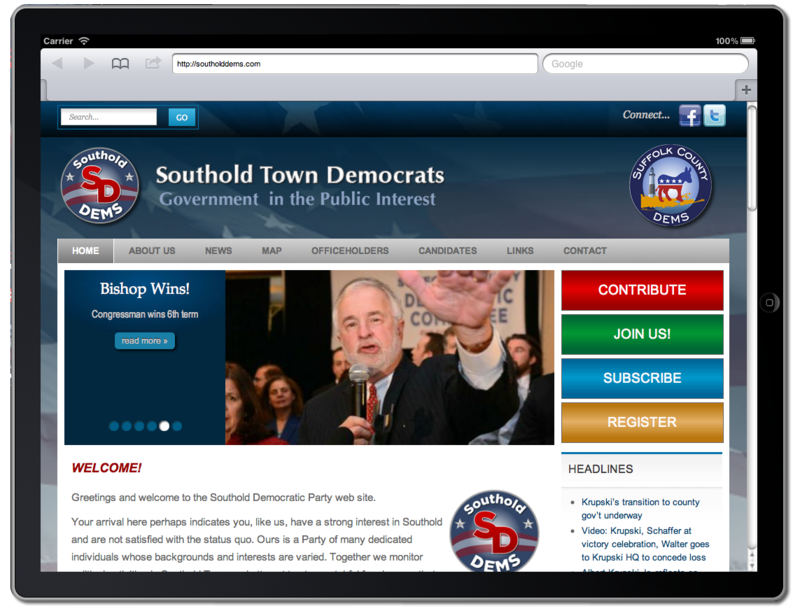 This is a revolutionary concept in grassroots political communications. Content that is posted to one site on the network can be easily, instantly and selectively published to any or all other sites on the network. This means content is available to different audiences through multiple portals, while at the same time being easily coordinated. Consistency: Communications are perfectly in sync through all parts of the organization. Sites stay "fresh": Content stays up to date without the organization having to do anything in many cases. Maintenance: Updates are done simultaneously for all sites. Cost-Effective: The more sites on the network, the wider the basic cost can be spread - this brings multiple top-notch websites within the reach of mid-sized organizations who would otherwise not have the resources for such web presence. 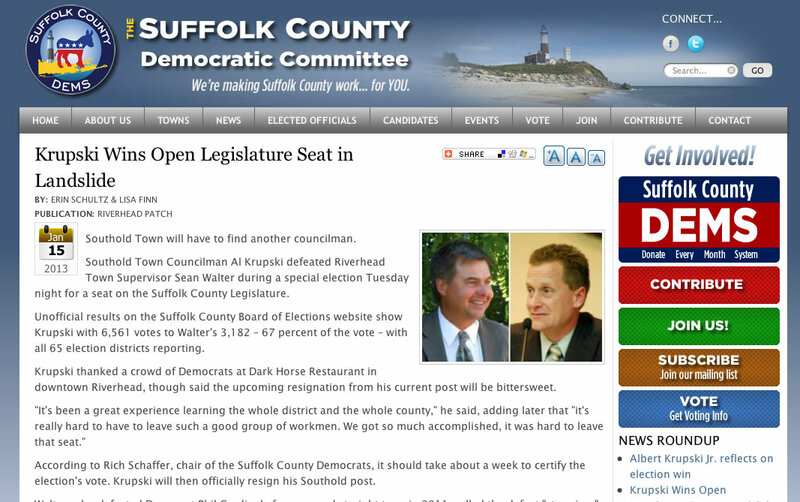 The original post is an article posted to AlKrupski.com on his landslide victory in his race for Suffolk County Legislature in January, 2013. 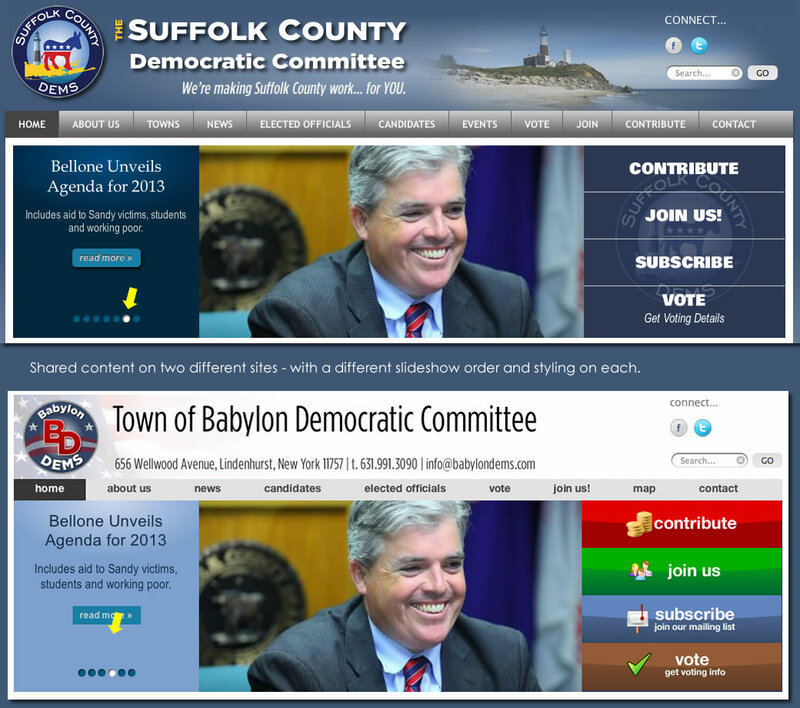 The three images show how the article appears on the three Democratic committee sites within his district, as well as on the County site. As soon as the article was posted on Al's site, it could be instantly published to all the relevant sites on the network without the committees having to do anything. 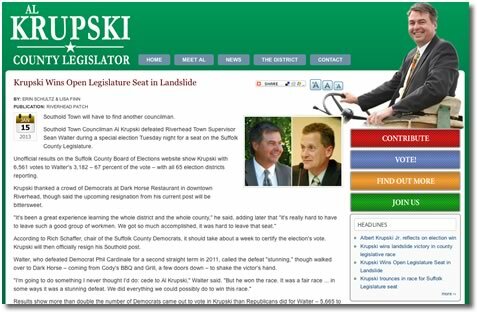 Unlike comparable methods (like pulling news items in from feeds), the articles are formatted properly for each site, with no intervention necessary from site administrators. For those in charge of posting new content, it's all easy as pie. 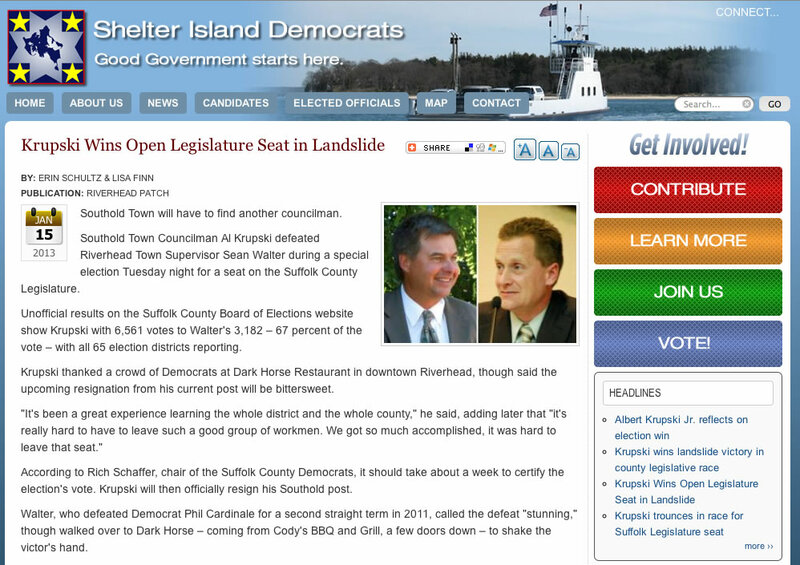 For most local legislators and political organizations, a world-class website would be a bridge too far. But by sharing resources across numerous sites, CommuniTree is able to offer top-level web technology to officeholders and candidates on the local level, without the time, effort and resources normally required to build a site from the ground up - all without sacrificing individual control or advanced functionality. 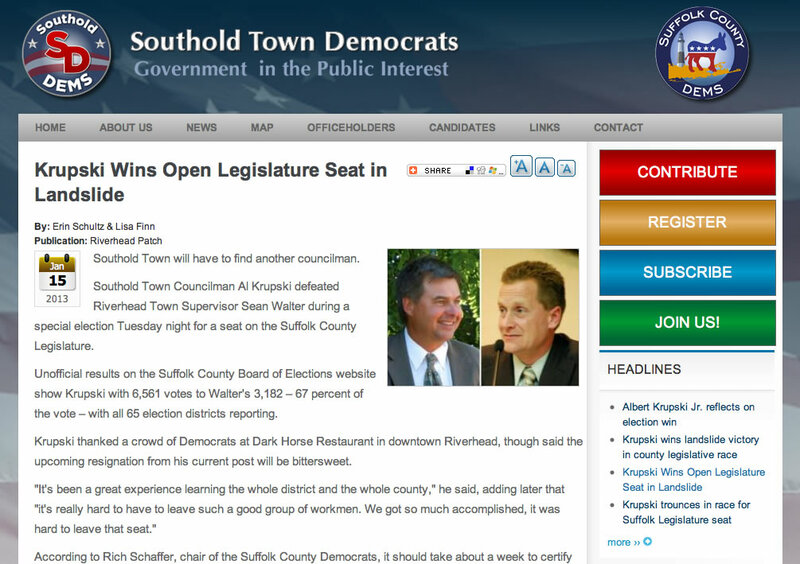 For example, take a look at the two slideshow images (click on the image to enlarge.) 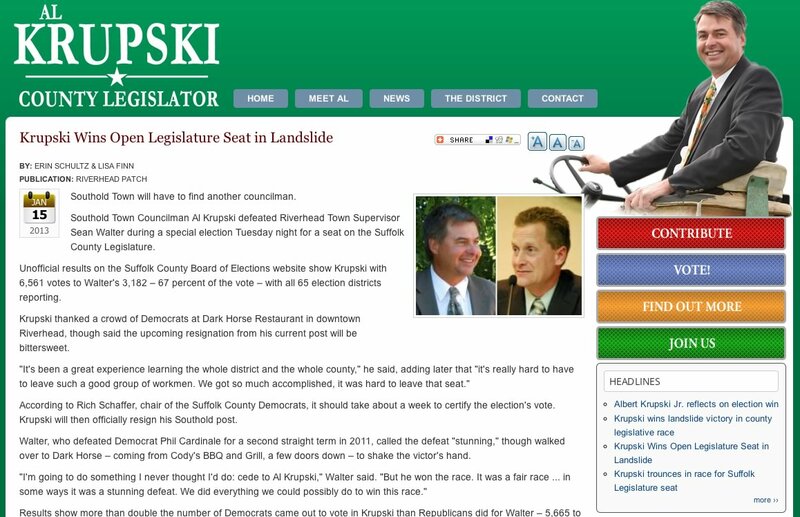 Just as articles can be shared, so can any other site content - in this case, a slider image that links to an article. CommuniTree provides individual control on each slideshow, even when slides are shared - this means that for one site, a particular slide could appear first in the slideshow and last in another - or third, or sixth, or not at all. All this is done through a simple user interface - there's no user coding of any kind involved. All CommuniTree sites are built upon our Foundation 2.0 system and will adapt to whatever device the user views the site on. Adaptive design means that sites will display appropriately on all virtually all devices from desktop, to mobile, to anything in between. 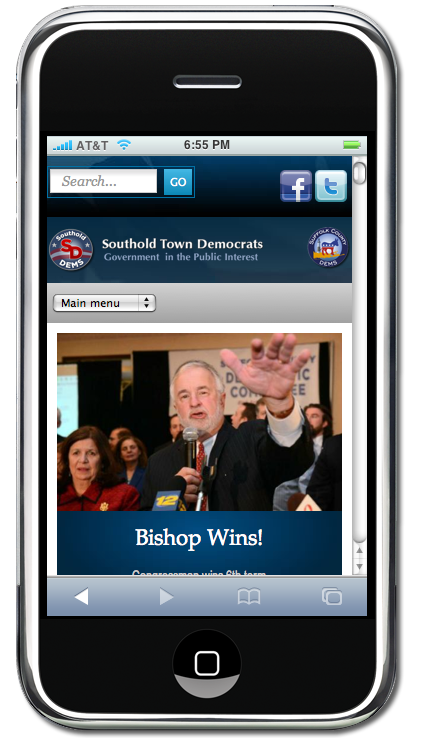 Click on the images to see how the exact same site appears on both iPad and on iPhone. 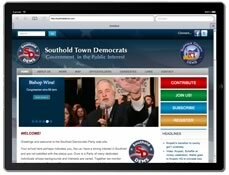 Online contribution engine, event management, text messaging and advanced CRM are also included, but you can find out more by taking a look at our Campaign 2.0 page, where all this (and more) is discussed in greater detail. If you're involved with a diverse organization and think that CommuniTree may be the solution you're looking for, just call us at 212-787-7767 and we'll be happy to answer any questions you might have. Or you can reach out to us via our site contact form by clicking here.